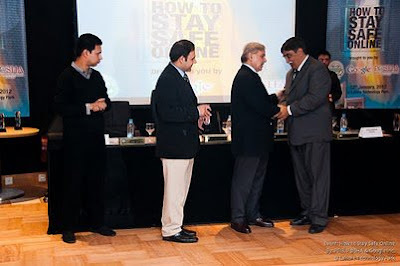 Lahore School of Economics blog wins Pakistan Blog Award 2011. The Awards were announced during grand and colorful Gala Night held on December 23, 2011 in Karachi and presented on January 12, 2012 by Mian Shahbaz Sharif, the Chief Minister Punjab in a specil event held in Arfa Software Technology Park, Lahore. Blogging, or ‘the new marketing and business communication tool’ as it is sometimes referred to, definitely seems to be the future of the Pakistan corporate world. Lahore School blog started on September 2004, when the word blog was not much known, and has come a long way. This blog has become a source of inspiration for large number of Lahore School students and faculty members to start their own blogs where they propagate their points of view, talk about topics of their choice and meet like-minded individuals or take an opportunity to explore subjects they are truly interested in. On this occasion, I take the opportunity to call faculty, all young scholars and alumni of Lahore School to start their own blogs and join the ever expanding blogosphere.